zinc-plated and yellow passivated. Robust design, with ring for opening. Trade pack: 10 pieces in a carton. 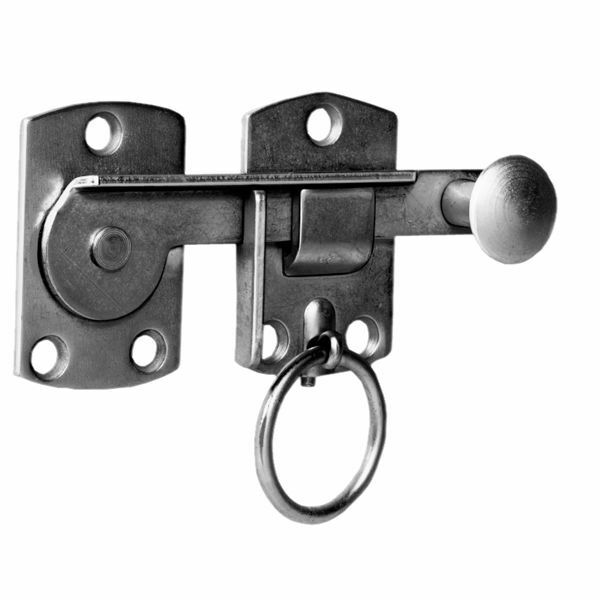 Flat mounting face, suitable for use plastic and aluminium hinged shutters. Screw pattern reduces risk of splitting when wooden shutters are abused. Available in all RAL colours in quantities above 250 pieces. Price on request.